In January 2019 we carried out a sensitive clean of the Tyburn stone plaque at the intersection of Edgware Road and Marble Arch. This follows our repairs to the stone five years prior in 2014, followed by a ceremonial tree planting with the local Tyburn Convent, Transport for London and Westminster City Council observing the location of the commemorative plaque. The tree planting saw three oak trees, to represent the three-legged Tyburn gallows surrounding the stone plaque. The first plaque dedicated to Tyburn was first laid in 1909, which was replaced by the current plaque in 1964. Each year thousands of people make a pilgrimage to the stone plaque, as well as visit the nearby Tyburn Convent. 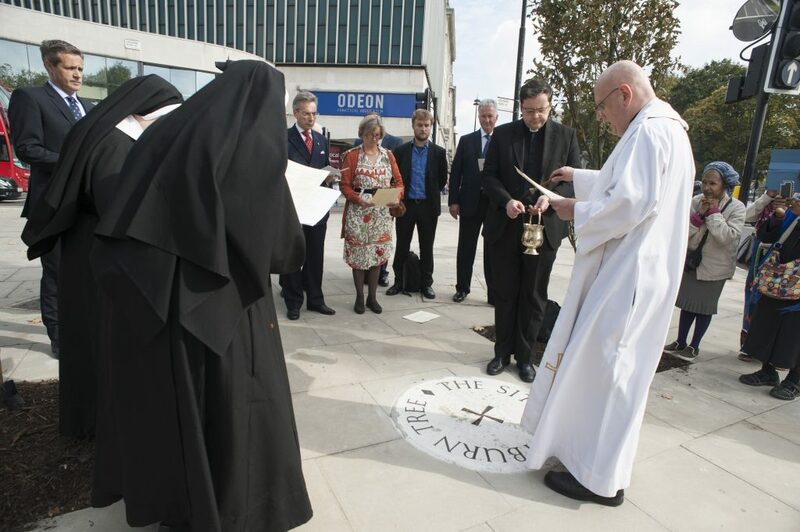 Although hundreds cross over the Tyburn stone plaque every day, few stop to think of its significance and the area’s cultural relationship with it. The plaque marks the approximate location of the Tyburn Gallows and forms a key part of the area’s history. Over six centuries, between 1196 and 1783 it is estimated that over 50,000 people were executed at this Marble location, now home to the Tyburn Convent which was established in 1901. 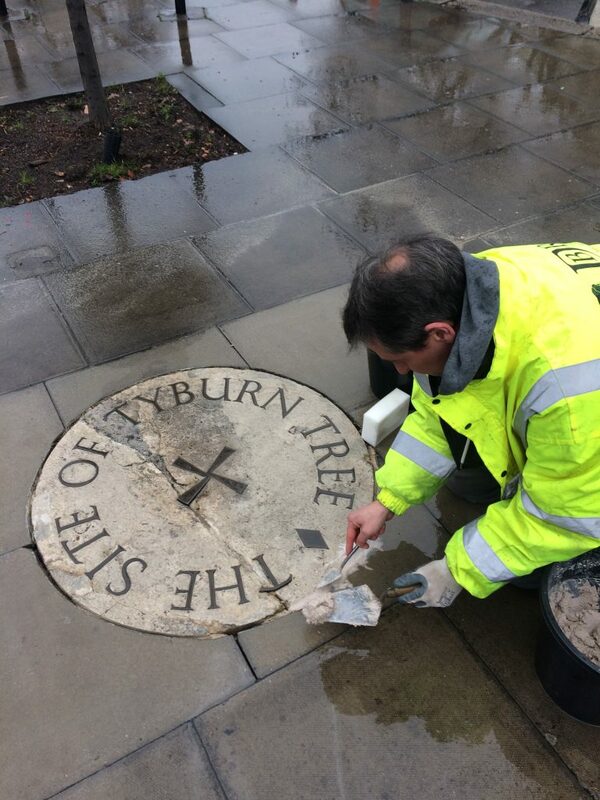 We are proud to honour the Tyburn plaque, as well as its historic and cultural significance. We intend to maintain its lustre and integrity.